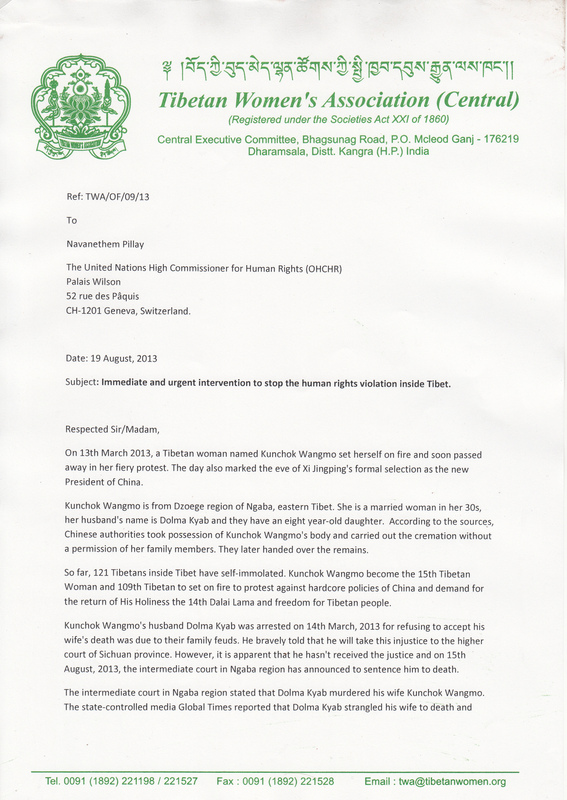 To voice against recent tragic case of late self-immolator Kunchok Wangmo’s husband Dolma Kyab, TWA wrote appeal letter addressed to the UNHRC’s high commissioner Navanethem Pillay, UNICEF, the International court of Justice and Executive Director of UN human right Section for women Ms. Michelle Bachelet. The People’s Republic of China must release Gendun Choekyi Nyima. He is the 11th Panchen Lama, the reincarnation of 10th Panchen Lama, Gendun Choekyi Gyaltsen and the real Panchen Lama of Tibetan people. Although the birthday of the Panchen Lama is meant to be a festive occasion, the current situation is not a cause for celebration. Today, April 25, 2013, is his 24th birthday, but he is forced to celebrate once again under severe restrictions at an unknown place.